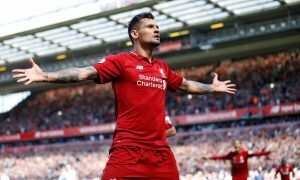 Manchester City superstar reveals surprise exit plans | The Transfer Tavern | Where football transfer rumours fly or die! 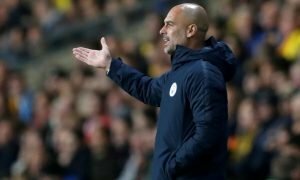 Manchester City fans in the Transfer Tavern have had their dreams of a superstar hanging up his boots at the club shattered, after he revealed his exit strategy from the Etihad. 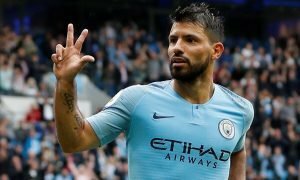 In an interview with French outlet So Foot, Sergio Aguero revealed he plans to leave City when his contract expires in 2019 and return to Argentina. That leaves City with the daunting task of replacing one of the best striker’s in world football earlier than they would have originally liked, with Aguero aiming to see out his twilight years at his boyhood club. Although frustrating, City fans have accepted this decision and believe it’s a good move for the striker who has given City years of service and success. In their eyes, he has his choice of club whenever he leaves. City fans, is there any striker who can replace Aguero? Let us know in the comments below!